The display is all set, the last details are up. I wanted to create a variety of cabinet knobs that would coordinate with my wall designs and there you go! 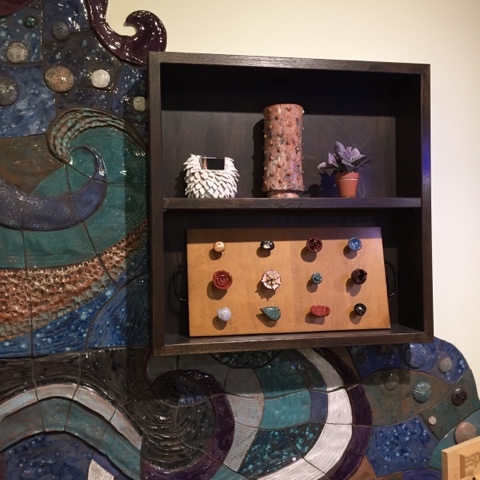 The piece of wood I had in my studio was perfect, the finish is nice and smooth, the same thickness of a cabinet drawer and a great contrasting color for the colorful knobs.